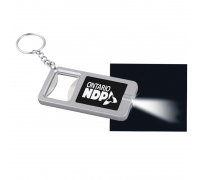 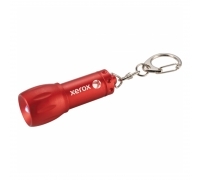 A keychain flashlight has been one of the most sought after gifting choices for advertisers of all genres because it is affordable and still highly value effective. 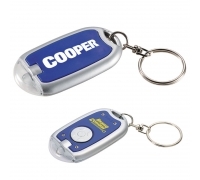 A pocket-sized plastic custom simple touch LED key chain not only highlights brand information, but also dazzles everyone with its unique features such as single LED light (which can be managed by turning on push button) and split ring swivel keychain. 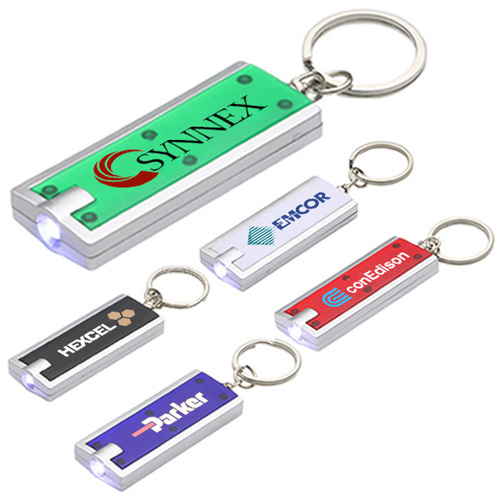 A logoed promotional simple touch LED keychain can be considered for business gifting in all seasons and it can be sought for mass gifting. 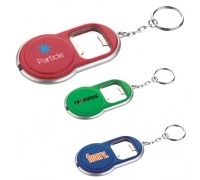 Custom simple touch LED key chains make great choice as an acknowledgement token, and thanking token in all seasons. 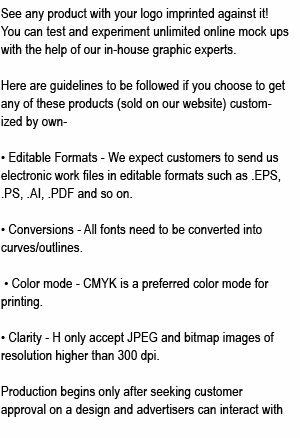 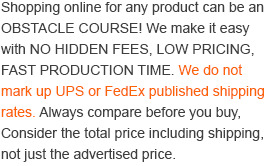 Item Size: 2-3/8" x 1" x 7/8". 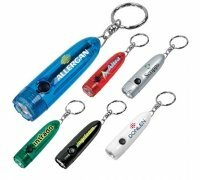 Material: ABS plastic; 1LED light. 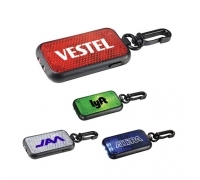 Product Size: 2-3/8" x 1" x 7/8"